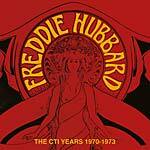 Freddie Hubbard, the CTI Years 1970-1973. 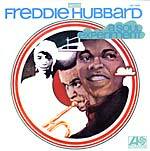 When top jazz trumpeter Freddie Hubbard began recording for the CTI label in the early 1970s, he combined his mastery of bop with forays into fusion and imaginative interpretations of contemporary rock and soul hits. 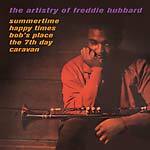 With more than two hours of music, this two CD compilation showcases Hubbard at the head of several lineups at four different concerts, broadcast on different radio stations: WRSU-FM, WBCN-FM, and KCUV-FM. Hubbard performs songs from his popular albums Red Clay (1970), First Light (1971), and Straight Life (1971). It is presented here, digitally remastered, with background notes and images. Exact repro reissue, manufactured by Rhino. Originally released in 1969. Featuring Eric Gale (guitar), Carlos Garnett (tenor sax), Billy Butler (guitar), Gerry Jemmott (bass), Kenny Baron (piano), Gary Illingworth (organ) and Bernard Purdy (drums).